I was commissioned by Alice Kirk of Isabella's Wardrobe to create a bespoke Christmas Window display using paper art. 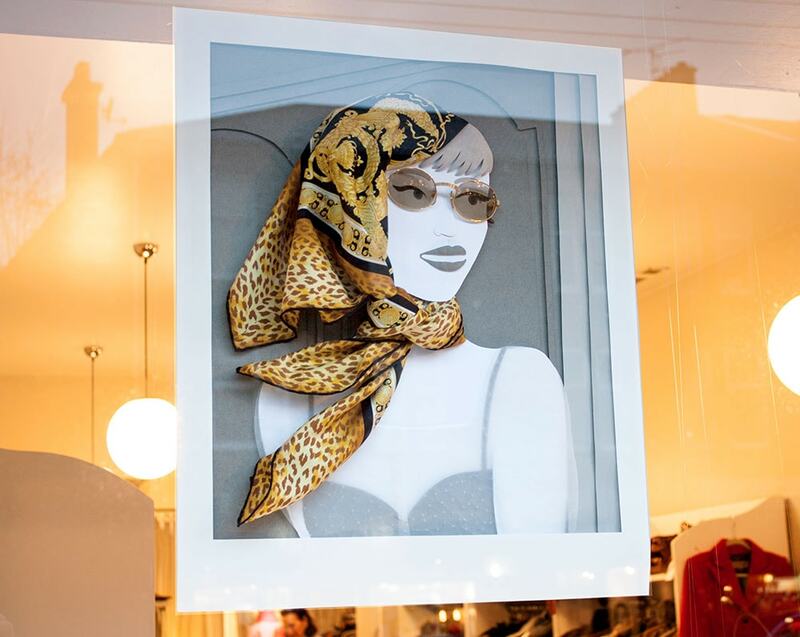 Isabella's Wardrobe is a beautiful store based in the Westend of Glasgow which specialises in gently used luxury fashion. 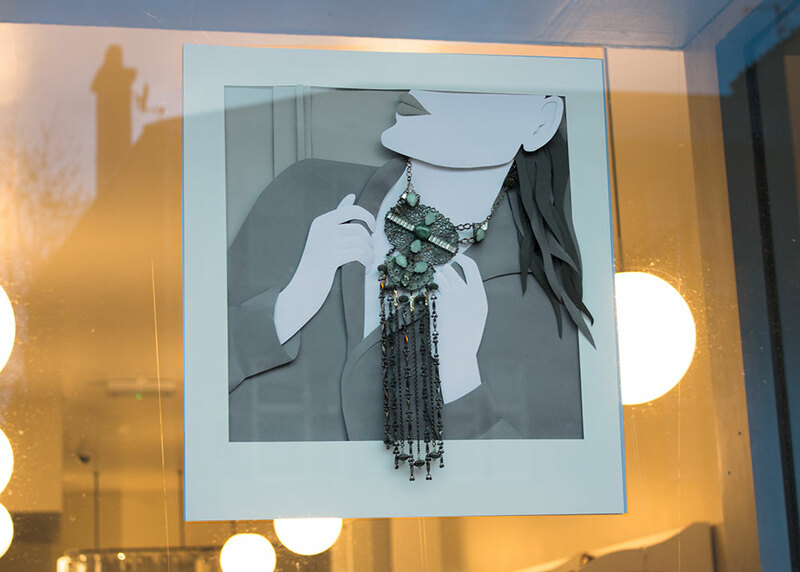 The window, inspired by vintage street photography, features handmade paper collages combined with real accessories.